A WOMAN has been taken to Bundaberg Hospital after a two-vehicle crash in Meadowvale. Initial reports suggested the woman had minor injuries and was taken to hospital about 12.30pm. 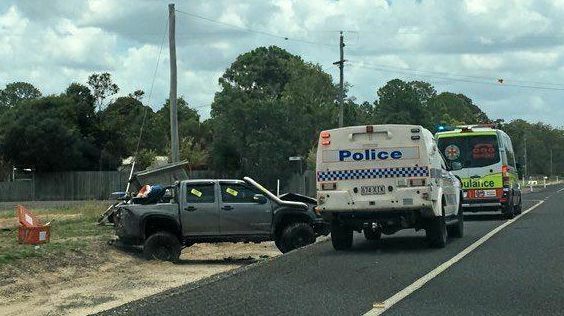 A Queensland Ambulance spokesman said paramedics were called to the corner of Rosedale and Quinns Rds about 11.45am after reports of a two-vehicle incident. The spokeseman said crews later assessed a second patient, who declined to go to hospital. A witness said they saw a group of people speaking to police and only one vehicle appeared to have significant damage. It is believed one of the cars involved in the incident had been towing a trailer.